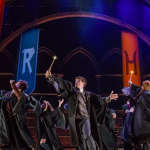 The Tony and Olivier-award winning play, Harry Potter and the Cursed Child, has revealed the cast of its next production in Melbourne, Australia. Appropriately so, the big news was announced during the Wizarding World’s annual right of passage Back to Hogwarts, which is depicted at the start of the of the two-part performance right where the Deathly Hallows epilogue left off. The company of 42 actors will be led by Gareth Reeves as Harry Potter, Paula Arundell as Hermione Granger, Gyton Grantley as Ron Weasley, Lucy Goleby as Ginny Potter, Sean Rees-Wemyss as Albus Potter, Tom Wren as Draco Malfoy and William McKenna as Scorpius Malfoy. 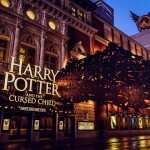 Tickets for Cursed Child Melbourne are currently on sale and preview performances begin January 16, 2019 at the Princess Theatre.